I’ve been wanting to join a Community Supported Agriculture group for about 2 years and finally signed us up. I want to increase our fruit and veggie intake, learn more about what’s in season and try new-to-me items. My CSA farm is in Capay, Yolo County, California. Out of the many many recipes over at epicurious.com the Spring Vegetables with Shallots and Lemon sounds tasty and full of spring sunshine. 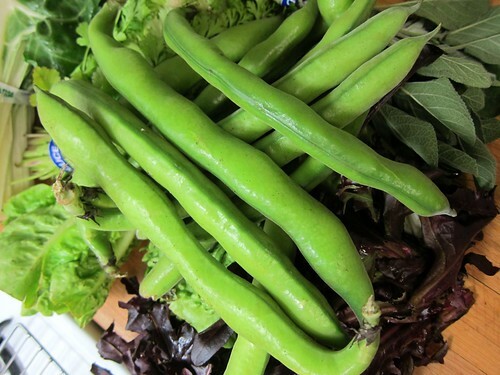 Heidi over at 101cookbooks.com has the most intriguingly simple “grilled fava beans” recipe. A dish she discovered while in Japan.